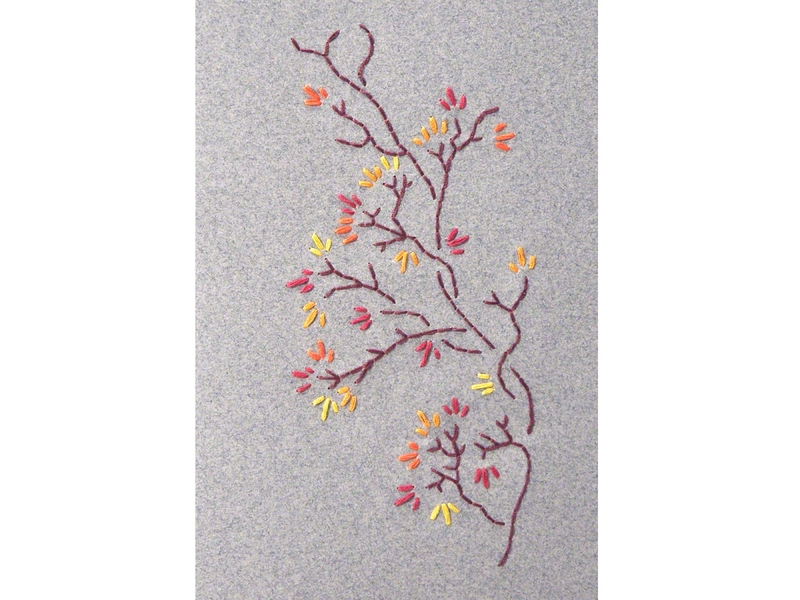 Autumn Branch. 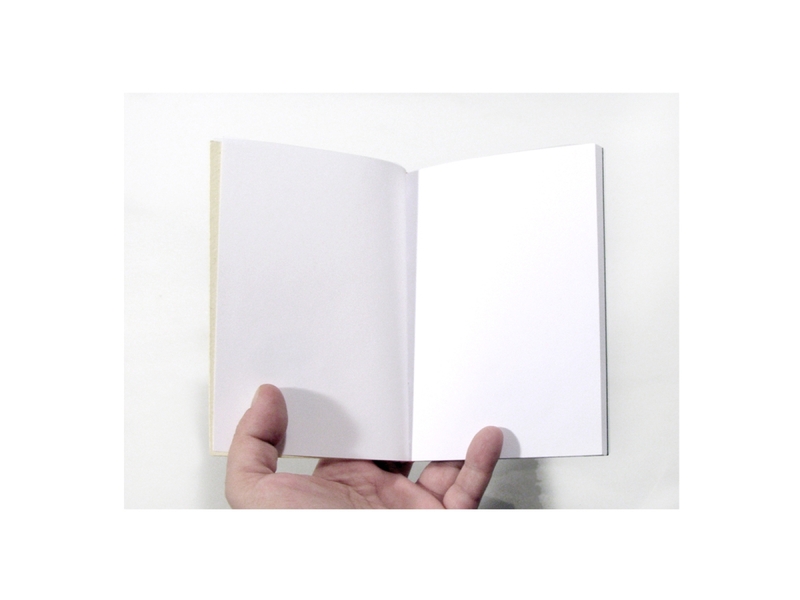 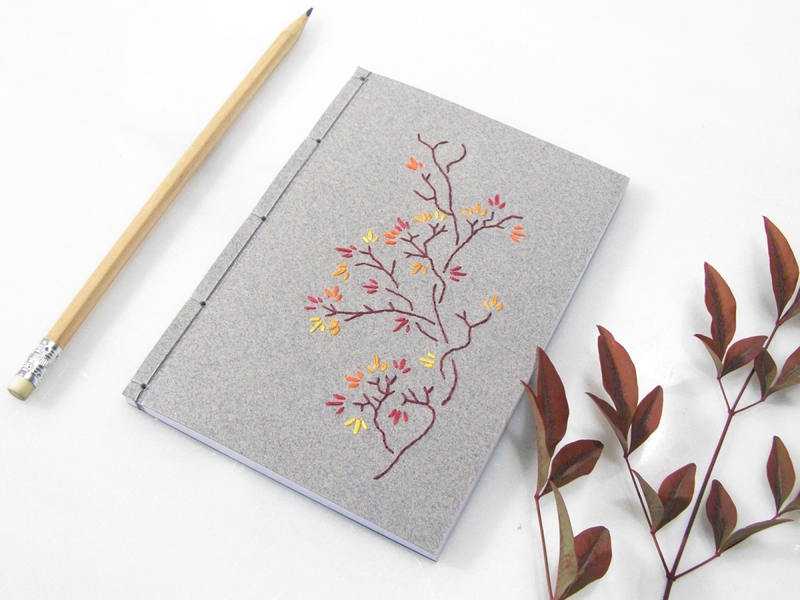 Gray A6 Notebook. 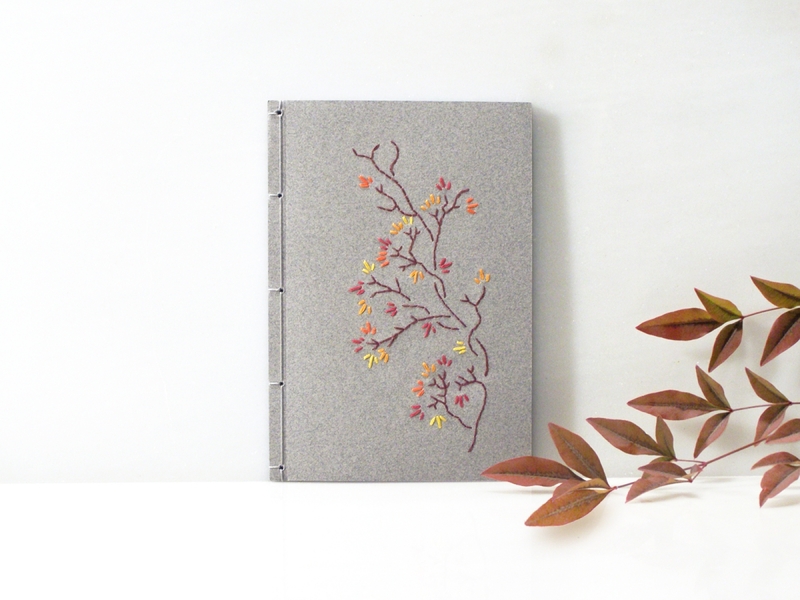 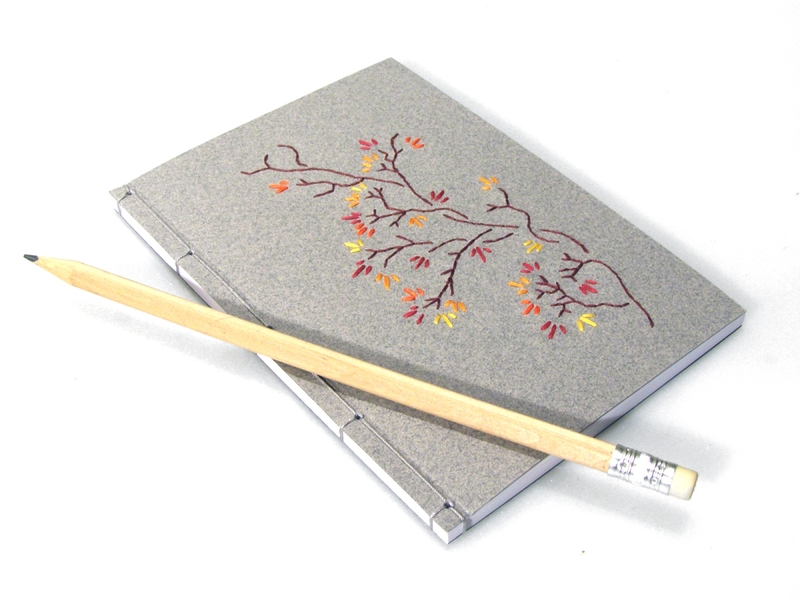 Front cover of a gray card stock, hand embroidered with an Automn Branch with foliage in varius fall colors cotton threads.